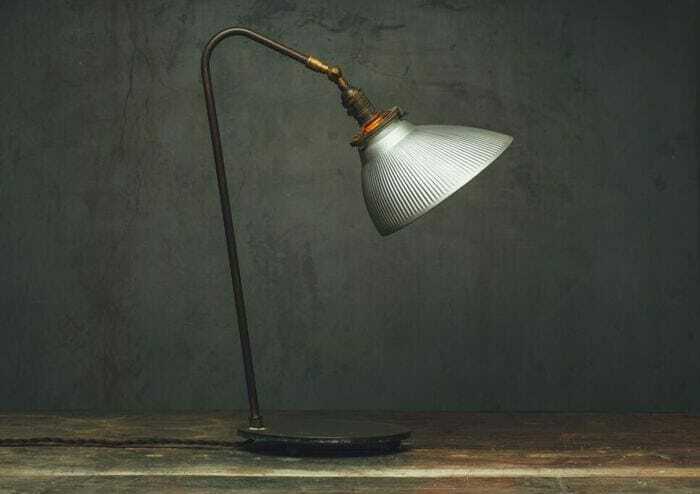 For its new collection of desk lamps, Provenance melded vintage X-ray reflectors with brand new bases. Lined in mercury glass, each shade emits a silvery halo of light. A twist of houndstooth cord and red rocker switch are a nod to the 1930s when extra care was given to even the most humble appliances. 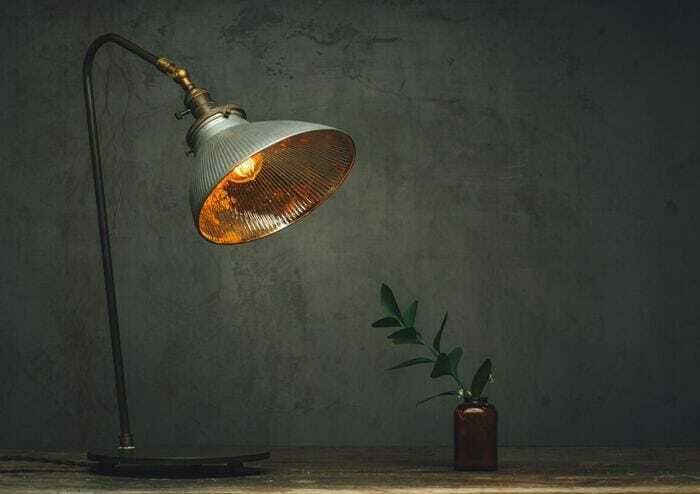 Pair it with a radio style incandescent bulb for an authentic retro look. Silver shade with silver interior.